Why choose an auto body repair shop? After a collision, some vehicle owners might want to take their cars to their regular mechanic for repair. After all, you want to put your car in the hands of someone you trust. 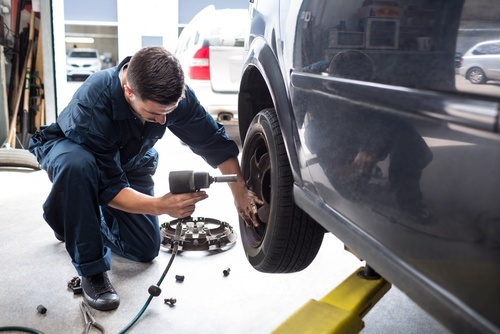 However, unless your mechanic’s shop has the specialized tools and trained technicians required for auto body repair, they may not be able to complete the types of repairs your vehicle requires after a collision. Mechanics typically focus on replacing parts inside the car, while body shops take a more holistic approach, and will work to ensure your car both runs and looks like new on the outside after a collision. Midwest Collision Center offers a full range of auto body repair services, from frame and unibody repair to scratch and dent repair. But in addition to our high quality repairs performed by knowledgeable, certified technicians, our shop offers a great atmosphere with friendly faces and several services to make your experience with us a pleasant one. We offer free estimates, with no appointment required, and we make our repairs within a reasonable timeframe. We also offer discounts on rental cars so you can still be on the go while your car is in our shop. If you don’t want to rent a car, we also provide a free shuttle service for your convenience. And finally, we stand behind our work, offering a written lifetime warranty on all work performed in our shop.